Belushya Guba is a small town on one of the two main islands of Novaya Zemlya, in the far north of Russia. About 2,500 people live on Novaya Zemlya. Belushya Guba is a small town on one of the two main islands of Novaya Zemlya, in the far north of Russia. 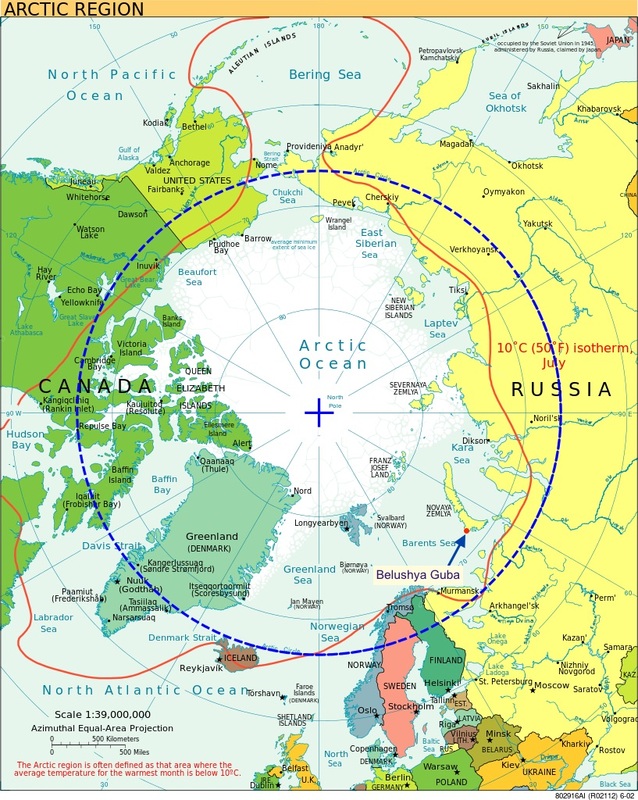 The dashed blue circle is the Arctic Circle. A blue arrow points at Belushya Guba. 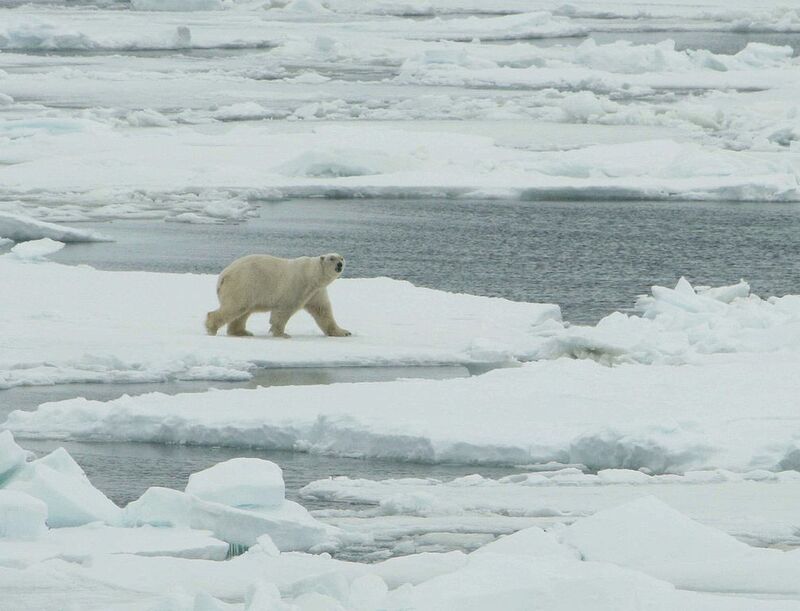 Since December, the people in Belushya Guba have been visited by more and more polar bears. On Saturday, the government in Novaya Zemlya called an emergency. The government says it needs more help getting rid of the polar bears. What’s happening in Belushya Guba has been described as a “massive invasion” of polar bears. But for the bears, high above the arctic circle, it may seem like the humans are the invaders. 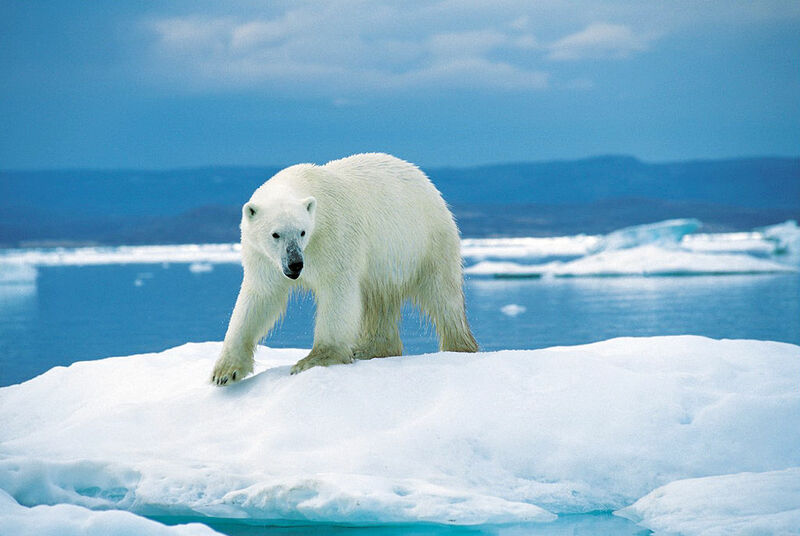 Though polar bears are usually born on land, they spend most of their lives on ice over the arctic seas. 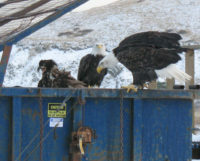 This allows them to hunt seals, fish, and seabirds for food. Though polar bears are usually born on land, they spend most of their lives on ice over the arctic seas. 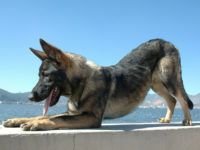 This allows them to hunt seals, fish, and seabirds for food. 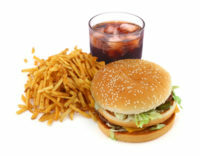 The seals are rich in fat, which the polar bears need to survive in arctic conditions. But scientists have been warning for years that the sea ice is getting thinner. Temperatures in the arctic have been rising twice as fast as in the rest of the world. 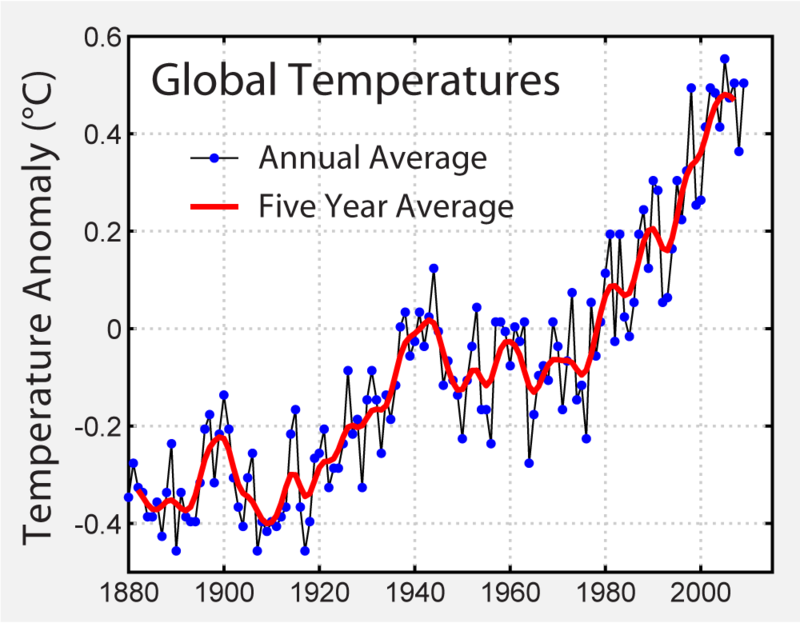 At least half of this warming is because of climate change caused by humans. The result of the warming arctic and the thin sea ice is that the area where polar bears can hunt for food is getting smaller and smaller. When the bears can’t hunt on the sea ice, they turn to land, hungry for food. At least 52 polar bears have been seen around the town. The bears are drawn there by the food they find in the trash. Most of the bears seem to be staying in an area where soldiers used to live. But as many as eight or ten always seem to be prowling around the town. A reporter for the BBC posted these pictures online. When the polar bears first showed up, the government began to take steps to keep the people safe. They built fences to protect students at school. They also took people to and from work in special cars. But the government says that these steps are no longer working. The bears are no longer scared by flashing lights, barking dogs, or loud noises like car horns. A news group called The Siberian Times posted these pictures online. The people of the town are living in fear. They are afraid to go out and scared to let their children go to school. Videos posted on the internet show polar bears walking through hallways of apartment buildings and offices. Since polar bears are protected by law, they cannot be hunted. Novaya Zemlya is now waiting for some experts to arrive. They hope the experts will be able to protect the people of the town. Rising temperatures are warming the oceans and causing huge amounts of ice to melt faster than expected. Unless something changes, this melting will happen even faster in the future, causing large rises in sea level.